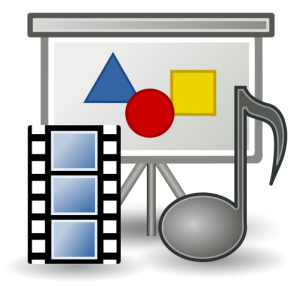 Welcome to the NH Fire Academy’s Audio Visual and Educational Technology Resource page. We hope that you find the information presented here useful. We have divided our information up into 2 distinct sections. The first is AUDIO VISUAL SUPPORT and the other is EDUCATIONAL TECHNOLOGY SUPPORT. If you are looking to utilize one of the many classrooms here at the academy, or you would like to request a portable AV kit for one of your field classes, you will want to file a resource request form and click the Facilities Request and or AV Request option on the form. If you would like a full listing of the amenities that each classroom has to offer in regards to AV support you can view our master list of classroom resources by clicking HERE. Most of our classrooms have a computer podium to help keep things organized. In order to learn how to use the items in the podium you can review our step by step instructions for use by clicking HERE. Should you run into issues or problems while using our computer podiums, you can review our trouble shooting tips by clicking HERE. If you would like to have internet access to our WIFI system during your stay you should request that by calling 603.223.4200 and letting them know that you need a guest WIFI access pass. Our educational technology team is responsible for creating and producing online learning curriculum as well as providing support to the educational mission of the Division through e-learning environments and platforms. If you have a project that you would like to propose to the educational technology group you can submit your request via our online request form (SEE BELOW). All requests will be reviewed by our team and once approved, will be assigned a priority for development and completion. It is important to note that all project target dates are subject to adjustment as unforeseen circumstances can arise. The team will keep all project sponsors apprised of progress.